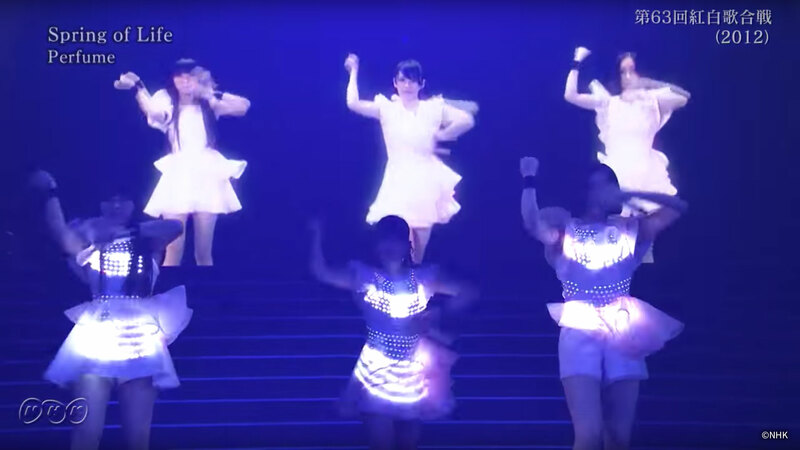 Costumes from the “Spring of Life” music video made their debut in a televised performance setting. The system was significantly updated to handle the demands of the high-stakes live broadcast. Whereas the wiring was visible in the earlier generation costume, the revised design discretely hid all the constituent componentry. As an added precaution, infrared LEDs were used to constantly monitor transmission status.